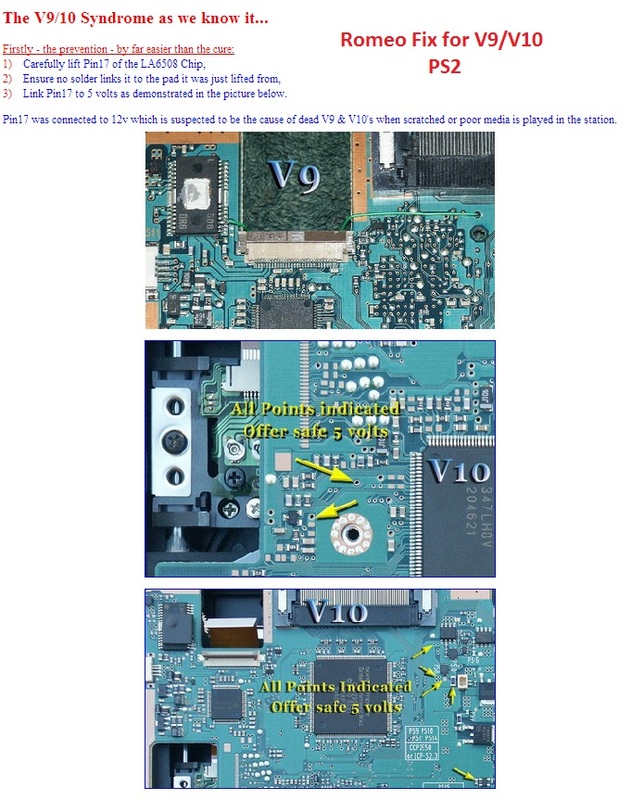 One of the last revisions of the fat PlayStation 2 was the V10. They were found in many of the SCPH-5000x models. They feature a quieter fan when compared to earlier models, and require some form of a laser fix. Matching console model numbers and board numbers are listed below. 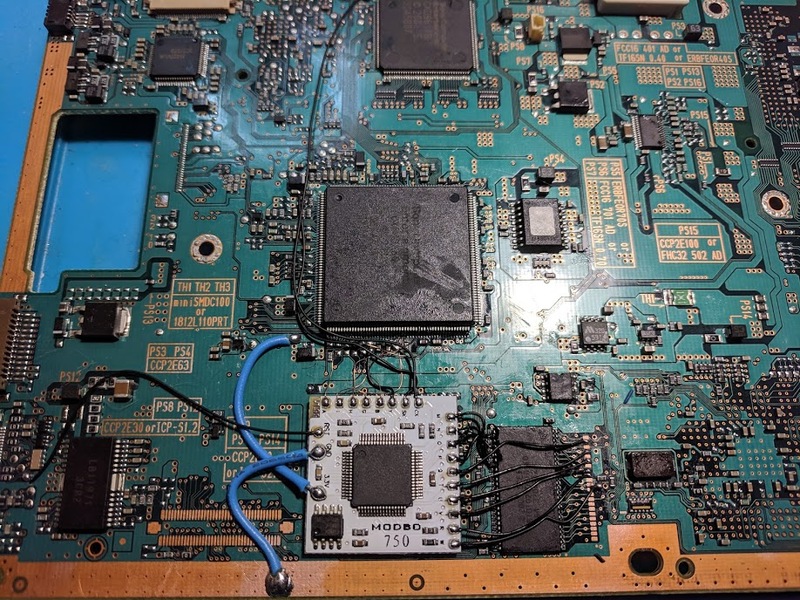 There was a defect in the design of the V10 console that can cause the laser to burn out when playing back games once a modchip has been installed. There was a fix for this problem called the Romeo laser fix. 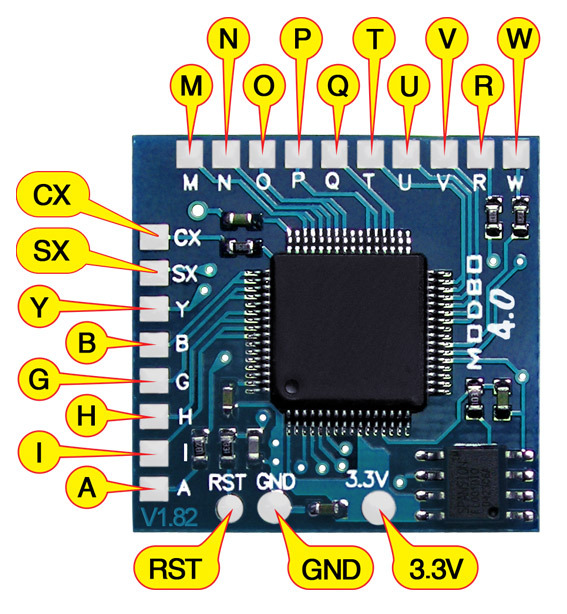 This fix involves lifting a pin on a chip, and then connecting that pin to a 5V point on the board. 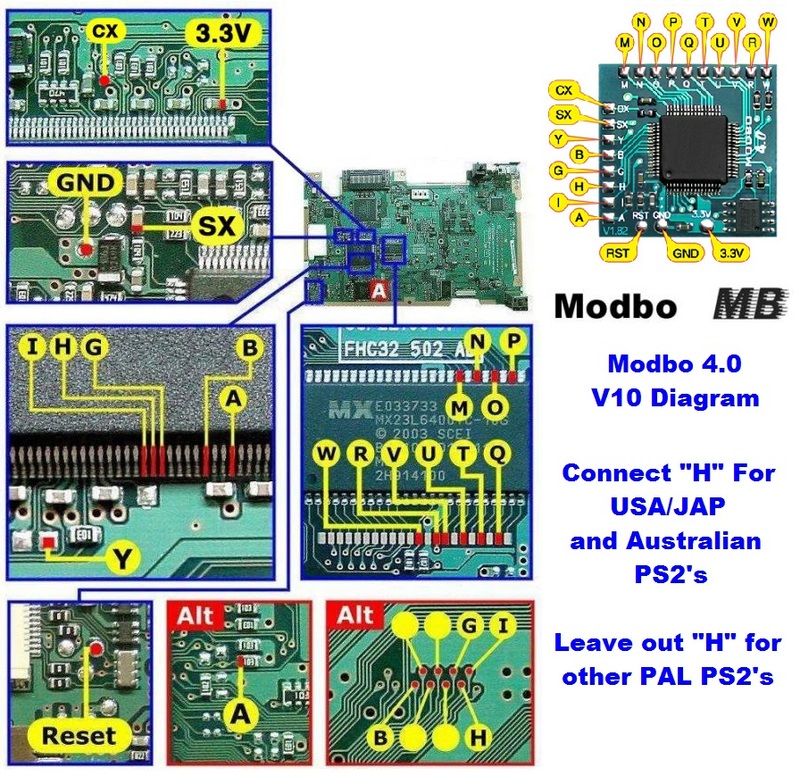 Here are some tips I have for you when you are soldering your chip into a V10. Use even thinner wire for the I, H, G, A, and B points. 36 AWG enamel coated wire works well.